The Fourth of July is a day to come together to celebrate our country and our freedoms. It is a day to appreciate those who’ve secured our many rights and the brave men and women who helped found our nation. Of course, it is also a day to have fun. It is a day for picnics, parades, and pool parties. For many, the day wouldn’t be complete without fireworks. While we appreciate the gorgeous displays put on by cities and small towns alike, our San Francisco fireworks injury law firm has seen the harm that fireworks can cause. This post is dedicated to safety and not becoming a fireworks injury statistic. According to a National Fire Protection Association (“NFPA”) Fireworks Fact Sheet, 8,700 people sought emergency room treatment nationwide in 2012 for a fireworks-related injury. As the NFPA notes, the risk of firework injuries extends beyond public and private displays to include anyplace they are made, transported, sold, or stored. While many people assume they are a safe alternative, sparklers were responsible for 16% of the firework injuries treated in emergency departments from June 22 to July 22, 2012, ranking second only to small firecrackers (18%). The Fact Sheet provides focused statistics from the Independence Day period, specifically the following statistics involve the month between June 22 and July 22, 2012. Burns accounted for more than half of the firework injuries in the holiday period, with contusions and lacerations accounting for nearly one-fifth (18%) of fireworks injuries. Unsurprisingly, the largest share of injuries (41%) during the holiday month involved hands and/or fingers. Of particular concern, the next largest share of injuries (19%) involved the victim’s head, face, and/or ear. 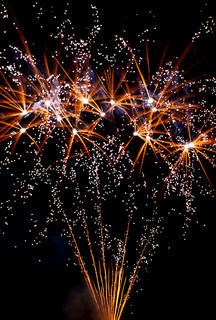 The age group most at risk of holiday fireworks injuries is between age 12 and age 24. A headline in the July 3, 2014 San Francisco Chronicle reads: “Homes threatened as Napa fire spreads to 4,300 acres.” As most Californians know, fires are a big concern for our region in the summer months. This makes the portion of the NFPA Fireworks Fact Sheet dealing with fires of particular importance to our area. The NFPA reports that during 2011 fireworks sparked an estimated 17,800 fires, a figure that includes 400 vehicle fires, 1,200 structural fires, and 16,300 fires burning outdoors or in other areas. These blazes caused 40 civilian injuries and cost $32 million in property damage (note: the fact sheet and another NFPA page have conflicting information on fire-related fatalities from zero to eight deaths). On a typical Independence Day, fireworks caused two out of five reported fires. While the statistics don’t reveal the detail, sometimes it is a bystander and not the person lighting a firework that suffers an injury. If you or a loved one experiences a fireworks injury because of someone else’s carelessness, our Northern California fireworks injury law firm can help you recover money damages. We can also help if you are hurt because a legal fireworks product is defective. We urge people to stay safe and leave the fireworks to the professionals. We hope the lights remain in the sky and not on an approaching ambulance. We also send a message of thanks to all the men and women who continue to fight to keep as safe and protect the grand experiment of democracy and freedom.